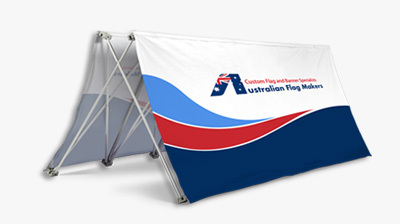 Like the idea of a pop up A frame, but looking for a banner that’s a bit sturdier? 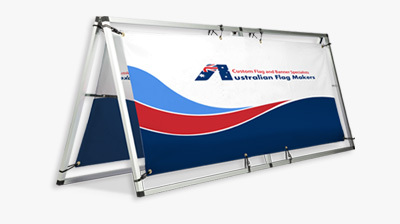 A banner frames offer the same ease of use, but with a durable metal frame that provides your image or logo with a structured, professional look. 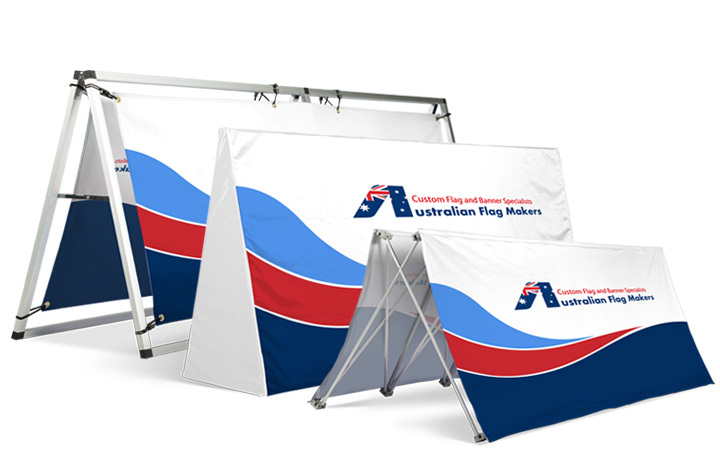 Because it’s so durable, it can easily be used to advertise your company or product outdoors, but it can also be brought inside and used on a table top at a trade show. When it comes right down to it, the whole purpose of any banner, no matter which one you choose, is to promote your product or brand. The only way you’ll get noticed, and remembered, is if you choose a custom banner that is made just for you. We have a couple different A banner frames for you to choose from, and each one features your custom image. We can integrate an existing image on your banner, or we can help you design a new one from scratch. 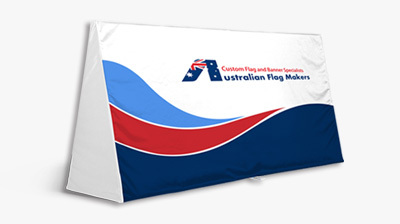 We take quality banners very seriously, but everyone at Australian Flag Makers is passionate about the customer experience. That means providing you with FREE graphic design services, FREE samples, custom quotes, and more. From start to finish, we’ll provide you with a customer experience you’ll never forget. Having trouble deciding which A banner frame is right for you? Or maybe you want to learn more about our prices? No matter what your questions, we have answers! Simply give us a call or fill out our custom form online.